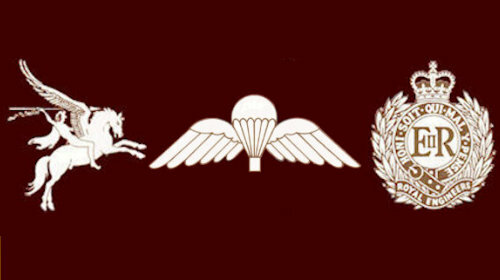 "The 11th September 2012 was a sad day for the Airborne Engineers Association with the sudden passing away of our ex Chairman, Joe Stoddart, MBE; he was also at the time the Chairman of the Aldershot Branch. It was doubly poignant, as Joe had the previous morning been attending a funeral service for one of the Aldershot Branch members, when he suffered a major heart attack in the afternoon and despite the attention of para medics there was nothing that could be done to save him. I had been with Joe and Sylvia only a week or so earlier at the Annual Double Hills ceremony in Somerset when he was his usual energetic and friendly soul chatting to as many people as he could. When the messages started coming in about his untimely passing they were greeted with disbelief and devastation by all. I was asked if I would say a eulogy at his funeral service, which I was honoured to do and set about composing it. What could I write about this colourful character who was so much part of the association? Talking to other members of the association, it seemed that actually we did not know too much about Joe, particularly his earlier life, however, I was able to get a few details which I will now describe. After attending secondary school in West Lothian, Joe attended the W M Ramsey Technical College for a year and then went to Rosyth Dockyard Technical College for a further year. During this time he passed a number of courses and exams in engineering which set him up for his service career, when he joined the Royal Engineers at the age of 18 in 1958. His service life was well recorded and I had brief notes about his subsequent work after he left the army and this I was able to include in the eulogy, which is reproduced later. After leaving the army Joe joined the REA and later on the AEA in which he took a great interest, much to the benefit of the association and individual members. He had a friendly and approachable manner and was always there to give sound advice and encouragement when needed. As a friend and comrade we will all miss him." I will now give a brief history of Joe's military and subsequent service, a tall order for the time available, as he had a very full and rewarding military career. 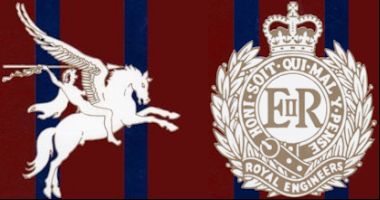 He enlisted into the Royal Engineers, wherein he stayed for his entire service career, in July 1958. After recruit training at Farnborough and trade training as an Electrician at Chatham he was awarded the red beret after qualifying as a parachutist and was posted to 9 Independent Parachute Squadron where he served in 2 Tp until 1965. During this time he saw active service in Aden and visited on exercise Norway, Bahrain, Cyprus, Libya, Malaya and Singapore. He was promoted Lcpl in January 1964. In 1965 he was sent on a nine-month attachment as an instructor at the Royal Engineer Diving School at Marchwood. This attachment however, developed into a four-year tour and he became an Army Diving Supervisor in 1966 and A/Sergeant a year later. He left Marchwood in 1969 to attend a Combat Engineer Al Course before being posted to 4 Field Squadron at Neinburg in Germany. During the troubles in Northern Ireland he served as Intelligence Sergeant with the Squadron and was promoted Staff Sergeant in April 1972. From January 1973 to January 1975 he was second in command of No 89 Army Youth Team at Troon and after attending the Commando Course at Lympstone, where he won the Commando Medal, no mean feat, he was posted to 59 Independent Commando Squadron. In 59 he became Troop Staff Sergeant of the detached Field Troop with 41 Commando, Royal Marines who were then based in Malta. While there he exercised in Turkey and Sardinia and saw active service with the United Nations Forces in Cyprus during the Turkish invasion of 1975. He served in Northern Ireland with the Squadron in 1976 before being posted to 38 (BERLIN) Field Squadron, as a Quarter Master Sergeant Instructor in July 1976. After this service by now a WO 2 Joe was awarded a well deserved LS & GC medal. Joe then returned to the RE Diving Establishment and in June 1977 he was appointed Sergeant Major Diving Instructor and, for seven months up to April 1979, he filled the Officer Instructors post as well. This was a very busy time for Joe in particular, as there was a reorganisation in which he played a key part. The culmination of his service was the award of the MBE and I will now quote a short extract from his citation. “On two occasions last year it was only his reaction to highly dangerous, unusual and difficult situations that saved human life. Throughout the period the police, for the cool, practical and determined support that he and his diving teams have given to them in difficult and dangerous operational search tasks has commended him regularly. The close working relationship and understanding now achieved between the Royal Navy and the Royal Engineers has been due in great measure to his ready co-operation and professional expertise, as when he was called in to carry out vital underwater repairs to an operational submarine." After leaving the army his work was not done and for 11 years he was manager of Devon and Dorset Holidays and then became the Manager of Active Learning & Leisure. This latter job consisted of running 250 bed centres and he was responsible for all aspects of operation, administration, training and day-to-day running, together with programming, planning and maintenance. Obviously his military training had not been in vain. For a year Joe was a chef at the Castle inn in West Lulworth — sadly I never sampled his culinary delights — I am sure that it would have tasted good! During this time Joe was also busy attending courses and getting further qualified, even finding, perhaps, a bit of time for some relaxation by playing squash, freefall parachuting, flying, and fishing. In later years he was an active member of the New Forest Royal Engineers Association in which he made many friends. He was also involved deeply with the Airborne Engineers Association, which was where I first met him and Sylvia. We were both in the Aldershot Branch and the first thing I noted was that if there was anything going on then Joe was there or somehow involved. Memorable visits to Normandy and Arnhem were made by the branch and at the regular or AGM's Joe always made a point of attending. This culminated in 2008 when he was elected Chairman of the association, a position he held from January 2009 until he retired at the end of 2011. In the meantime I had been elected President and this resulted in a close working and social relationship with him. During this time I rapidly realised that here was a man who took his duties seriously and was always on call if any decision or advice was required. I well remember that when the Constitution was being formulated over the telephone lines between Southampton and Ledbury, if not hot, must have been warm at times. Often when Pat would answer the phone she would pass it to me with the words 'it's that man again', I am sure that Sylvia said something similar when I called Joe! His interest and energy, combined with his professionalism made sure that things were carried out correctly and I knew that I could always rely on Joe to give a good, common-sense answer to any question put to him. He had a fertile mind and came up with many good suggestions to improve the function of the association. After his retirement as Chairman of the Association, a short time to relax, and then he volunteered and was elected Chairman of the Aldershot Branch, a post he held until his untimely passing. He told me that he would now have time to practice some golf and do some fishing; sadly he was not able to improve his handicap. One of his main interests was the annual Double Hills service at Paulton in Somerset, which commemorates the first casualties of the Arnhem operation and he attended this whenever he could. Again, I know that a lot of background work was done by Joe to make this event as successful as it is. This year's service was the last time I saw Joe, when, as usual he was as enthusiastic as ever about it. Little did any of us know at the time that it would be the last one he would take part in. A few days afterwards the message came round that he had suddenly passed away, received by all with devastation and immense sadness, such was the character of the man. So now I must end about a man who was a husband, father and above all someone who was held in high esteem by all who knew him, surely a fine epitaph.